Elevated on a slim, patent heel, this Italian-crafted pointy-toe mule shines in a floral hue beautifully offset by a contrasting topline. 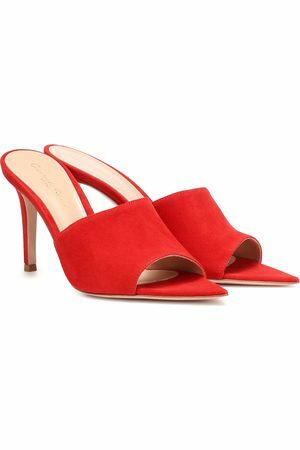 Style Name: Gianvito Rossi Colorblock Mule (Women). Style Number: 5826310. Available in stores. Open Toe Mule in . Calf Hair Lyle Mules in ,Animal Print. Nappa Silk & Plexi Mules in Metallic .